Wärtsilä had approximately 39,900 shareholders at the end of the financial period 2017. Foreign shareholding, including nominee-registered shares, represented 55.9% (55.0) at the end of the period, and Finnish retail investors held 17.7% of the share capital (18.4). The largest shareholder was Investor AB with 34,866,544 shares or 17.7% of the share capital. 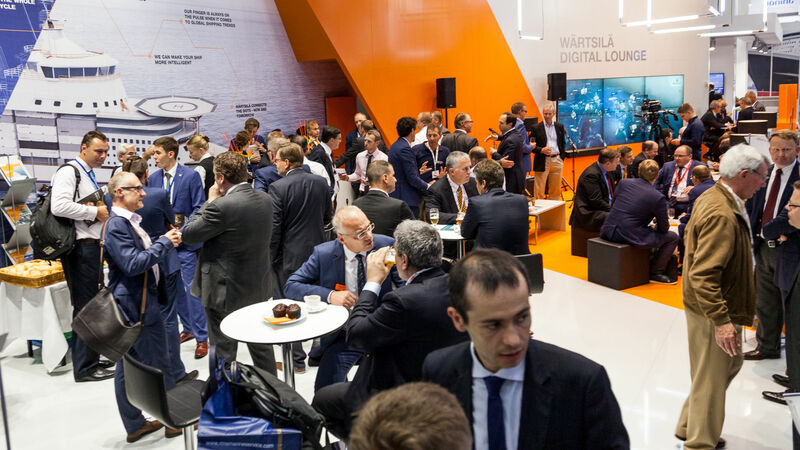 Further information concerning shareholder base development can be found on the Wärtsilä IR pages at www.wartsila.com/investors. Under the provisions of the Finnish Securities Markets Act, shareholders of listed companies have an obligation to notify both the Finnish Financial Supervision Authority and the listed company of changes in their holdings. The table below summarises the flagging notifications received by Wärtsilä during 2017, further information can be found on Wärtsilä’s webpage. The members of the Board of Directors, the President & CEO, the CEO's deputy, and the corporations under their control, owned altogether 65,374 shares in Wärtsilä Corporation at the end of 2017, which represents 0.03% of the stock and voting rights. Further details on the Board of Directors' and Board of Management’s ownership of shares can be found in the Corporate Governance section. The Annual General Meeting, held on 2 March 2017, authorised the Board of Directors to resolve to repurchase a maximum of 19,000,000 of the Company's own shares. The authorisation to repurchase the Company’s own shares shall be valid until the close of the next Annual General Meeting, however for no longer than 18 months from the authorisation of the shareholders’ meeting. The Board of Directors was authorised to resolve to distribute a maximum of 19,000,000 of the Company’s own shares. The authorisation for the Board of Directors to distribute the Company’s own shares shall be valid for three years from the authorisation of the shareholders’ meeting and it cancels the authorisation given by the General Meeting on 3 March 2016. The Board of Directors is authorised to resolve to whom and in which order the Company’s own shares will be distributed. The Board of Directors is authorised to decide on the distribution of the Company’s own shares other than in proportion to the existing pre-emptive right of the shareholders to purchase the Company’s own shares. The Board of Directors proposes that a dividend of 1.38 euro per share be paid for the financial year 2017. The dividend will be paid in two instalments.